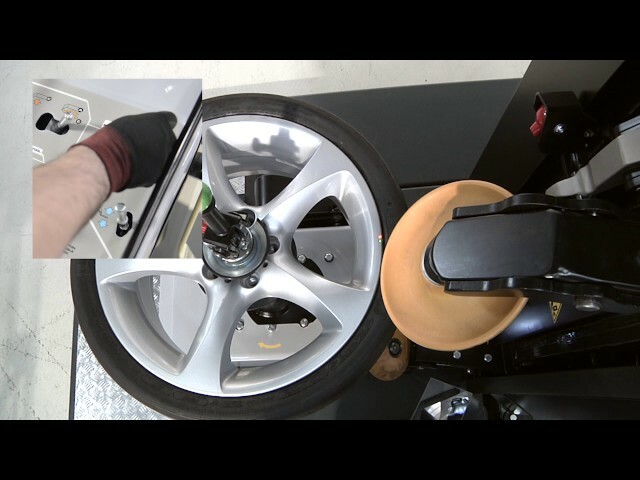 Automatic tyre changer which assures a fast effortless tyre changing. 30“ automatic leverless tyre changer which assures a fast effortless tyre changing. Intuitive with high level of technology, this equipment make the job simple as you’ve never seen. By placing two laser pointers the machine recognizes the dimension of the wheel. Completely electromechanic, all movements are driven by motor inverters to guarantee precision and reliability.